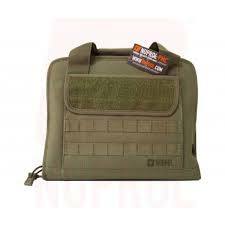 Nuprols PMC Deluxe Pistol Bag is designed to protect upto 2 pistols with magazines while in storage or transport. Full zip closure allowing you to open it flat. 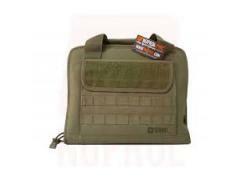 Large front pouch for extra kit. Velcro panel on the front for ID patches. 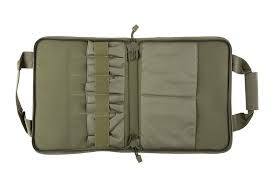 MOLLE loops for adding extra small pouches.